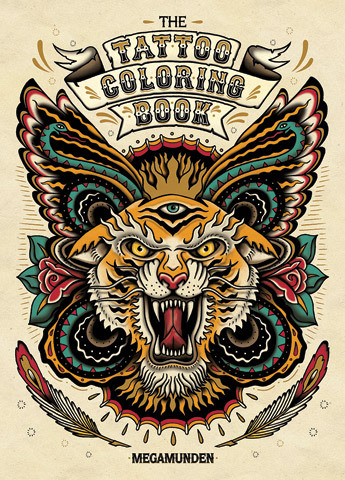 Packed with stunning illustrations, this unique coloring book celebrates the art of the tattoo. The tattoo designs were specially drawn for the purpose of this book and range from traditional motifs of hearts, sailors, girls, skulls and roses to more elaborate compositions with a contemporary edge. A perfect gift book that will appeal to anyone who loves tattoo imagery or for someone who is looking for inspiration for their next piece of body art.